Including, of course, trade support. A veritable cornucopia stretching from wooden toys through Mecanno to fine scale plastic and miniature engineering. A true "wunderland" of models. A great day out for all the family and one the children will love. 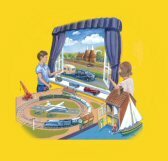 If you are interested in modelling yourself or want to rekindle your childhood memories, you will find something amongst the many diverse types of modelling on display to admire. Please note that this link will take you to our Club website. 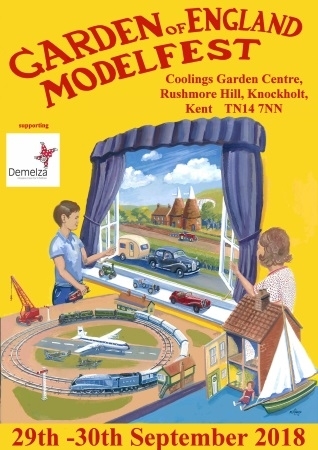 We are an experienced model show organising team who are expanding our horizons to hold a top quality model show in Kent which will provide something for everyone. We are predominantly showcasing models, model-making, miniature engineering etc. The people who do this give of their time to share their skills with everyone but not only do they obviously not pay for tables or space - we also have to pay for their travelling costs and in some cases even hotel costs. 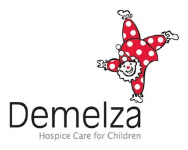 Consequently an admission charge has to be made if we are to cover the cost of venue hire, let alone have a surplus to benefit Demelza. But, by today's standards the charge is pretty low and you would be hard pressed to find better value for money - especially if you bring your children or grandchildren!